Often with a family of five the best approach to getting dinner on table is a divide and conquer strategy. Today Kevin did what he did best which was grill steak and I put my attention on the sides to go with the meal. It has been a while since we had enjoyed baked sweet potatoes and fresh asparagus so they were the right sides to go with the meal. 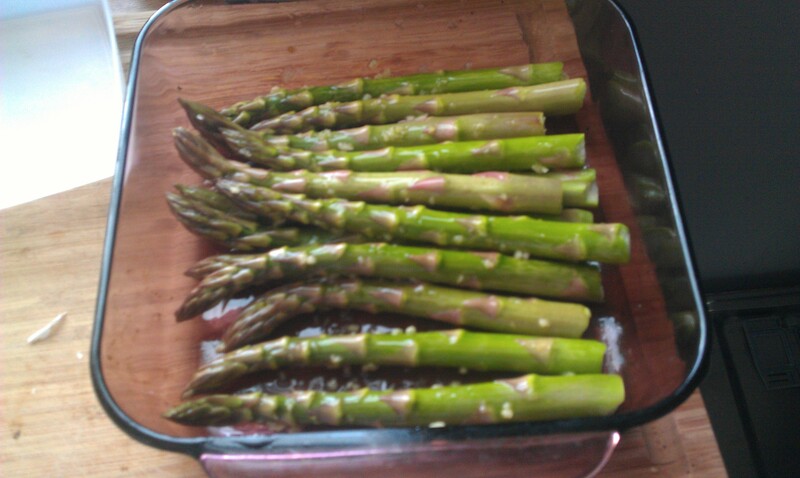 Now I’ve never cooked asparagus before so I did some reading and went with this recipe from Food Network from Emeril. The first thing I liked about this recipe was that it was quite simple to make and the ingredient list was all items I have on hand on a regular basis. I have to confess that working with fresh veggies can be a bit intimidating for me. There seems to be a magic moment with a lot of veggies where they taste amazing but all too quickly they can cross over into a mushy substance that can’t be recovered. Combined with olive oil and fresh minced garlic. I went with only 1 pound of asparagus but kept the amount of garlic the same. We are a garlic loving family so this wasn’t a bad thing. In the end I also kept the 2 tablespoons of lemon juice but the reduced extra olive oil turned out to be the perfect amount. Now I will say that I probably kept these in the oven about 3 minutes too long. Because several of my stalks of asparagus were a bit thick I wanted to make sure that they roasted through and this hesitation cost me. Next time I’ll go with the suggested time of 20 minutes. 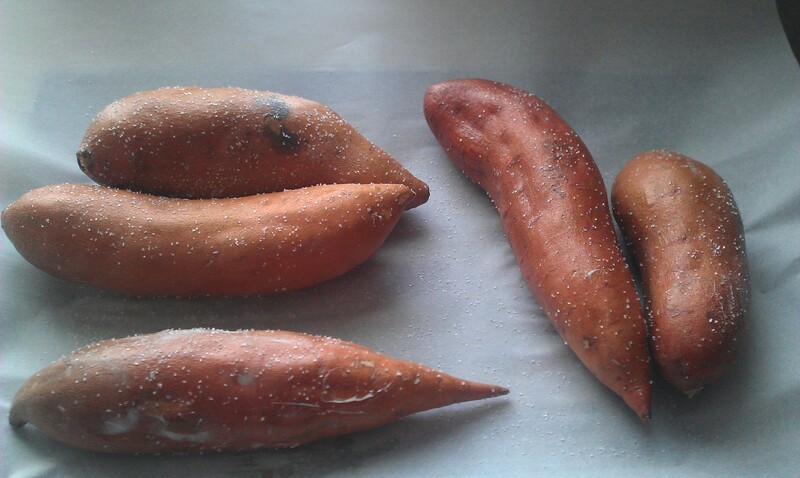 Sweet potatoes rubbed down with a bit of butter and sprinkled with salt. Now for the making of my sweet potatoes. 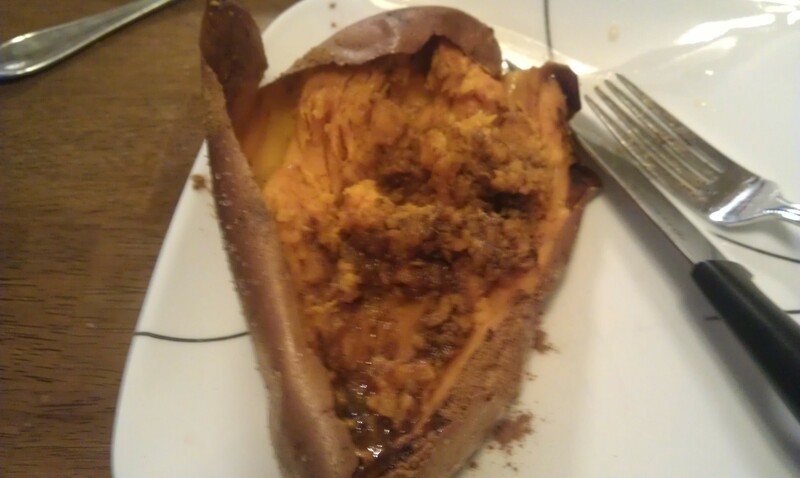 I like to get my sweet potatoes from Costco. They are well priced and I can often get 5 nice sized potatoes which works out well for our family because we all love this side. I always start with rinsing my sweet potatoes and giving them a pat down with a clean tea towel. Then I take a small amount of butter and just make sure to cover the potato’s skin with it all over. It doesn’t need to be a thick layer of butter either you just want to make sure none of the skin will be able to dry out. Then take your sea salt and give a generous sprinkle all over the potatoes. After you’ve prepared the potatoes as I’ve suggested you can slide them into a preheated 350 degree oven or on a hot BBQ. Tonight ours were placed on the top rack of our BBQ and left there for 30 minutes to bake. Like any other potato you can test to see if it is done by simple piercing it and making sure the centre is soft. Honey Butter: Equal parts butter and honey. A simple condiment where a little goes a long way. Finished potato with some honey butter and cinnamon. Once your potatoes are done just split, add as much or as little of the honey butter as you like and top with some cinnamon. These are a big hit with our kids and they don’t last on the plate long. 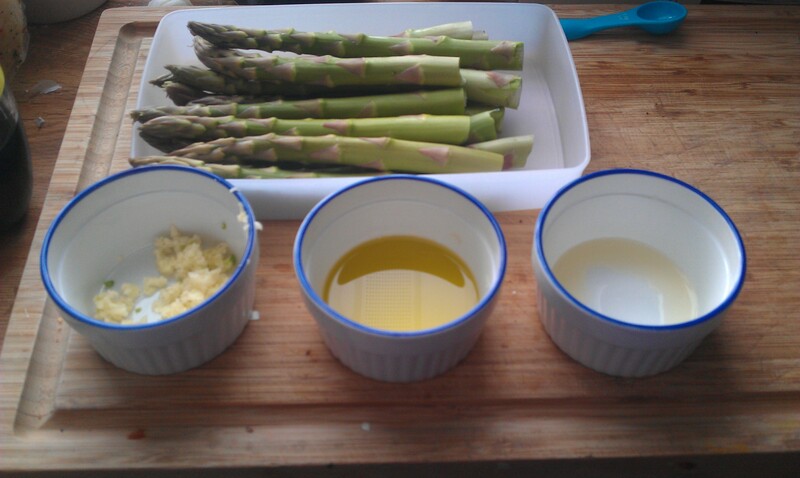 2) In a large glass baking dish, toss the asparagus with the olive oil and garlic. Season lightly with salt and pepper, and toss. Bake until the asparagus are tender and lightly browned, 15 to 20 minutes, depending upon the thickness of the stalks, stirring twice. 3) Remove from the oven and toss with the lemon juice. Adjust the seasoning, to taste. My husband taught me this one. 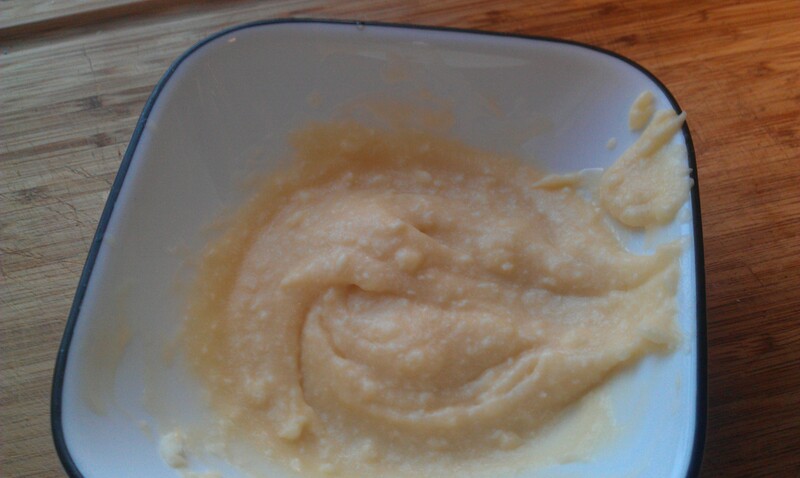 2) Rub potatoes with butter until covered all over the skin. Sprinkle all over with sea salt. 3) Bake in oven or BBQ for 30 minutes. Check potato by make sure the centre is soft. 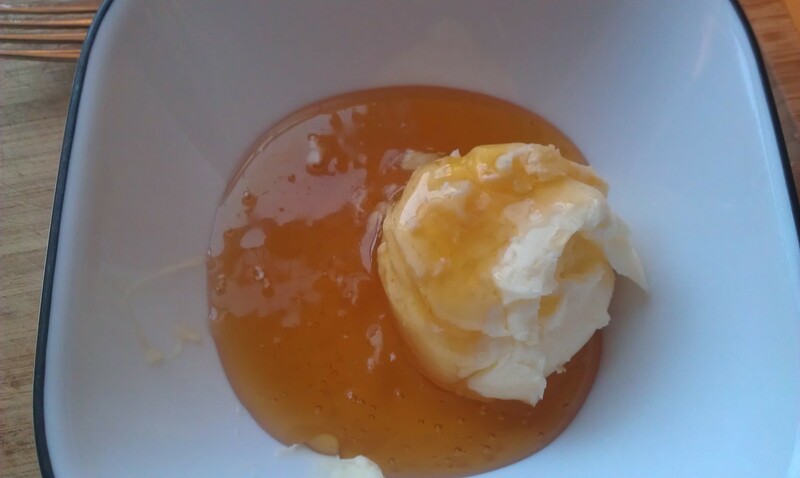 4) Put 1/3 cup of butter and 1/3 honey in a bowl and combine with a fork until smooth. 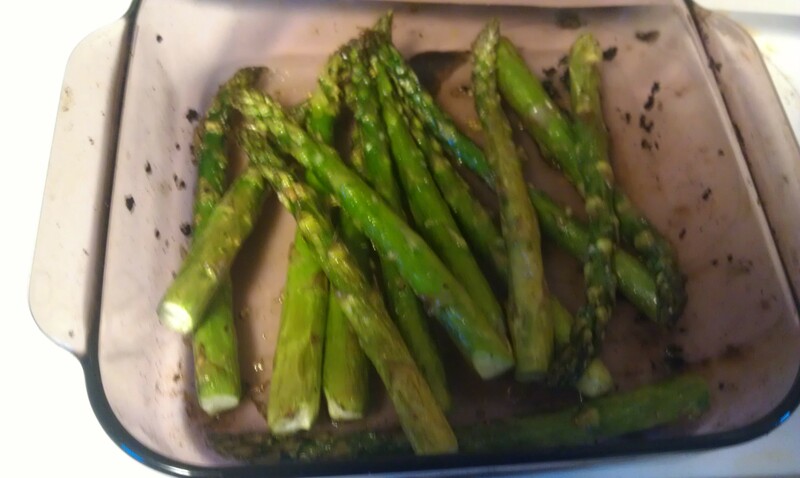 Posted on February 24, 2013 by Shirley Robert	• This entry was posted in Recipes and tagged asparagus, baked sweet potatoes, BBQ, butter, cinnamon, dinner, food, Food Network, fresh veggies, garlic, honey, lemon juice, olive oil, side dishes, sweet potato, teaspoon lemon juice, vegetarian. Bookmark the permalink.